Our aim is that you love your Ballet Mafia product and you will be happy with the service that we provide. If you do have any questions please get in touch before placing an order. The below policies are designed to provide support when dealing with problems. However, if you cannot follow these guidelines below, please contact us to discuss an alternative and we’d love to help. All sales are final. Orders cannot be cancelled and no product can be returned, refunded or exchanged for any reason, except for production faults. At Ballet Mafia, we take great pride in creating high quality products. However, if you find that your product is faulty, please get in touch with a description of the fault within 14 days of receiving your order from us. We may ask you to provide a digital photo of the fault. Please note that this only applies to products bought from Ballet Mafia Ltd. directly. Discounted products are also excluded from this policy. Please do not return any products to us until you had written confirmation. We will not be responsible for any postage that you may incur. Any items sent to us that do not comply with the returns policy will be discarded or returned at your expense. If we find that the fault is ours, please return the unworn, unwashed item in its original packaging to us. We will not charge you for postage of the replacement item. We will then be happy to replace your product (subject to stock availability). If the product is out of stock, you may choose another product for the same price or we can offer a refund. We will discard items. We will aim to fulfil your Ballet Mafia skirt order within 2-4 working days. For orders including products of the Merde Signature Collection, please see below for further information. We use Royal Mail for delivery. For UK destinations, we use Royal Mail Signed for First Class. For international destinations, we use Royal Mail International tracked and signed service. Please note that delivery times may vary depending on destination. Please ensure that you provide us with your correct address and that there is someone who can claim the package if you are not available. If a package is returned to us because the address provided is incorrect, could not be found or because the package was not claimed, we will require additional payment to be made before the package can be resent. Please note that this does not apply if the fault is ours. We are not liable for any losses, liabilities, costs, damages, charges (including any customs / tax charges associated with international shipment outside the UK), or expenses resulting from delivery. For London customers we offer a ‘collection in person’ alternative to shipping. This can only be selected if this has been agreed with us prior to the purchase. If this option has been selected by accident or without agreeing it with us in advance, we reserve the right to charge our standard postage and ship once payment has cleared. All skirts are made of high quality lightweight fabrics such as chiffon and georgette. As our skirts are deliciously delicate they come with a stylish Ballet Mafia cotton drawstring bag to keep them safe in between dancing. Avoid rough surfaces that could snag the fabric. Hand wash in cold water using mild detergent. Lay flat to dry. If you need to iron your skirt always use a low setting. We cannot guarantee that the colours or fabrics will not bleed or discolour. Any products affected in this way cannot be refunded or exchanged. Finally, we have taken great care to ensure that the colours and prints are shown in the best possible way however, please be aware that colour variation may occur due to your current screen resolution. 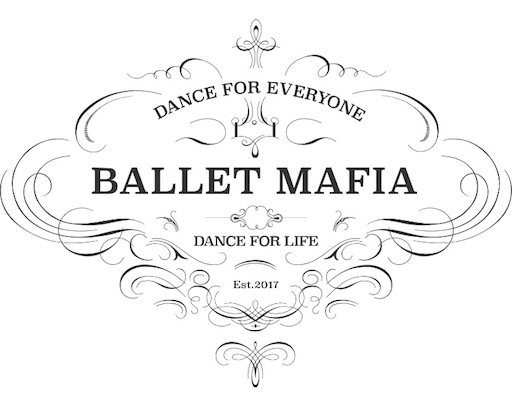 No logos, content or images from the Ballet Mafia website or any related printed material may be copied or used without prior written approval by Ballet Mafia. Products from our Merde Signature Collection will be custom made, as we will not hold any items in stock. We estimate that it will take ca. 3-4 weeks from placing the order before products will be ready to be shipped (compared to a 2-4 working day turnaround time for skirts). So please allow for sufficient time when placing your order. If your order combines products from our Skirts Collection as well as the Merde Signature Collection, we will ship the combined order once all items are available. If you want to split your order to receive the skirts sooner, we will charge additional postage costs. We currently don’t offer a bespoke service, however feel free to get in touch if you have a specific idea and we can discuss whether and how we can help. If we are out of stock or are unable to fulfil your order we will be in touch to discuss an alternative solution. This could involve amending your order or issuing you with a refund.